David Song is the Director of Programs for Chicago Debates. In this role, David is considered the CEO of making debate the premier academic competition for young people in Chicago. He pursues this vision of growing debate throughout our city by directing debate activities and a dedicated staff to create engaging and rigorous academic experiences for teachers and students; working as a strategic partner to the Chicago Public Schools in designing and administering all debate programs throughout the district; and growing Chicago Debates’ long-standing reputation as the leading organization running the most active, impactful, and largest policy debate league in the nation. David has been fortunate to work as a leader in urban debate for over the last decade, largely because it combines his passion for the transformative academic and social impact of debate with the opportunity to amplify the powerful ideas and voices of students throughout Chicago at a time when a lot is being said about young people in Chicago. In his decade of running debate programs for major urban school districts in Chicago and Minneapolis and St. Paul, David has had primary leadership in working with very talented colleagues (including some of the founding leaders in the urban debate movement) to grow two of the nation’s largest debate leagues to new heights while building a culture of participation, community and student-and-teacher-centered support. David began coaching debate during his senior year studying English at University of Illinois and spent 8 years leading nationally ranked debate teams at Evanston and Oak Park River Forest High Schools. David has held statewide leadership positions in debate with the Illinois High School Association and Illinois Speech and Theater Association and has directed public debates featured at the Aspen Ideas Festival, Smithsonian, and DuSable Museum of African American History. 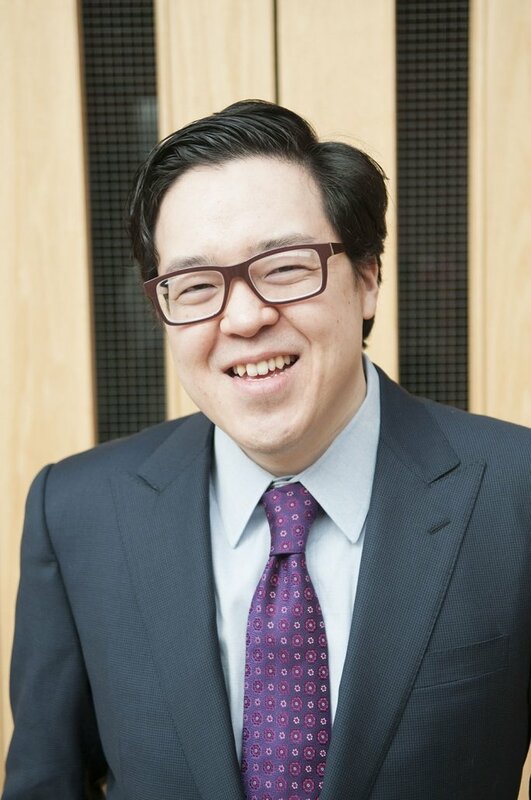 David is proud to be a first-generation Korean immigrant and part of a family where the previous two generations have worked on the South Side in retail and public health care. Someday he would love to have time for his other passions of mental health advocacy as part of immigrant families’ experience in America, comedy, and travel. He doesn’t normally talk in the third person and would love to talk to you about growing debate in our schools. He can’t wait to share stories about the hundreds of inspiring teachers and thousands of courageous students he has learned from who are authoring their stories with the skills learned in debate, all while constantly and joyfully disproving uninformed narratives about what is possible in our city every day at debate practice and every weekend at our tournaments, a community where debate is exciting and where Chicago Debates.